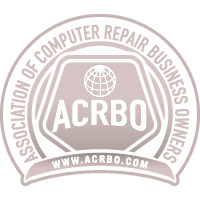 $25.00: ( Free with Repair) Troubleshooting/Diagnosis Fee : Includes A Comprehensive Inspection of All System Components, Along with Software, To Determine All the Issues with your Laptop / Desktop. LCD / Laptop Screen Replacement : The Actual Cost of the Screen, Plus $50.00 for installation. If the Part Needs to be Ordered Turn-Around Time is 3-5 Days. Call for a Quote ! Data Recovery / Data Transfer : $25.00 For the First 10 Gb's / .50 Each Additional Gb - The amount of time varies depending on the type of file and amount of data. Data can be recovered from damaged laptops / desktops in most cases.